If you want to keep a healthy aquarium, you will have to know that it is essential to have proper and quality filtration in place. 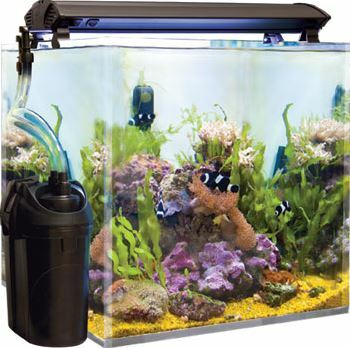 This is supposed to give you the nudge to get the best external filter for planted aquarium, as this helps to keep your aquatic organisms free from danger brought by dirt. When your aquatic organisms have a good aquarium filter, they live freely and healthy; it’s like when humans get a good feel of fresh air. For someone who is in love with aquatic pets, you need to take their health seriously and leave it at the maximum point there is. It is highly important that you invest your time and money into getting the best filter there is for your planted aquarium. This is why I have taken my time to give you insights on how to get the best external filter for your aquarium. It is important to note that you have to take into consideration the brand of filter you are getting to be sure of what you are putting your money on, the durability and the functionality of the filter should also be given attention to. This brand has been known to produce one of the best filters in the market, and this product comes with a wonderful tech. The motor tech of the product is highly durable, and it will cause for longevity. The product is engineered to reduce noise with its protective cover. The durability of the product comes from the precision that comes from the engineering of the product. One of the superb features of these filters is that the entire volume is used to separate each filtration stage. This gives the product a higher efficiency and allows for no mess in the process. It is engineered in such a way that it specially absorbs debris to get rid of having a clogged media. This product boasts of the efficiency of the Germans when it comes to proper engineering of their products. This brand has been existing for over a period of 30 years, and the simple yet effective products have made them live for long. 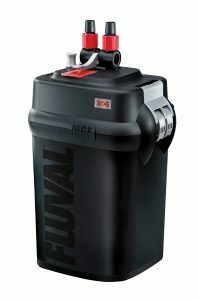 This product is available in ranges, and it can be found to be either 40, 66, and 90-gallon aquariums; the kit comes complete with Eheim mesh and Subtract Pro media. The most important thing about this filter is that there are no bypasses. What this spells out is that the absorbed debris will have to pass through the media which in turn results in perfectly clean water. This product is built with Fixed Permo-elastic silicon seal ring which is on the pump head, this allows for easy and effective safe closing after cleaning. Since the product is built with a silent motor, it then makes it suitable for anywhere in the house. This kit has an inclusion of three packs of extra white filter pads, it also comes with one pack of blue coarse pads. The kit includes 1lb. of premium carbon filter, 1lb of ceramic rings and a number of bio balls too are present. 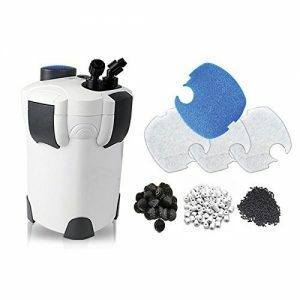 The filter is built to have a large blue self-priming pump that does a great job of getting rid of the need to do manual siphoning and also this eliminates the need to undergo manual siphoning. It also has four mechanical trays that readily and excellently achieve a standard chemical and biological filtration. The product is very easy to maintain, and the cleaning is effortless. However, you need to have it in your mind that the trays are in order so you won’t be stuck trying to fix them. There’s a switch that allows you to remove the hoses that bring in water and takes it out. The switch will help you cut the water off which will leave the water in the hoses. The usefulness of this is based on how it will help you when you want to siphon the system and restart it. I refer to this product as a monster workhorse because it has a flow with the rate of 563 gallons per hour. It is built with the intelligence and the durability that it possesses will readily tell you that this is a tech that is high performing. This product has been upgraded from the FX4, the FX6 filters and this has its motor technology improved which helps it to give effective performance that will consume less electrical power. This is a smart pump that is also self-priming and this makes it very easy to install. Because of its smartness, you are just to put water into it and have it plugged. It has a way of monitoring the water flow by itself and it will maintain the consistency of the flow rate and later purge the trapped air in the canisters, this is done consistently by the filter every 12 hours. 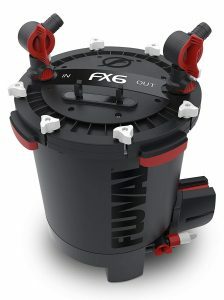 This FX6 product is made to have a 6 stage filtration process and it has been programmed not to allow any water bypass, giving you the desired filtration and clean water. This product is quite easy to maintain as it gives you a monthly indication that it is time for maintenance. Since you now have the basic idea needed when you want to get the best external filter for planted aquarium you do not need to worry anymore as your choices will be justified. Just be sure to follow the set guidelines for proper filter buying for your planted tanks.